signing once they learned she was a local resident of Yardley, PA.
who is empowered to help animals. come true and a story that must be told”, Abrams added. and that they can accomplish great things through positive action. and parents are encouraged to bring their children. Animal Fairy Character and embraced the idea when asked to author his story. encouraged. Please bring your children. a relationship with them and recording their results. inaugural winner, Kristen Watry, will receive her award at HAWS’ Pet Walkathon on May 7th. kindness and helped make that possible until her passing in 2010.
working with and training the adoptable dogs at HAWS. values exemplified by Ms. Boettcher and Ms. Watry. Grab your friends and family and come join L.E.A.R.N. for our first “Spare the Lab” bowling FUNdraiser on Saturday, May 7th from 11 am – 3 pm at Alpine Lanes in Muskego. In addition to some fun bowling, you will have opportunities to win some great prizes and raffle items, as well as an event t-shirt. We will also have a L.E.A.R.N. information booth to find out more about us, how to become a foster home and to view some information about the Labs currently available for adoption. The 1st Spare the Lab bowling FUNdraiser is sponsored by Labrador Education and Rescue Network (L.E.A.R.N. ), an all-volunteer, 501c3 non-profit organization dedicated to finding new homes for abandoned and unwanted Labs. The location of the event is Alpine Lanes at S80w18700 Apollo Dr in Muskego, WI. Alpine Lanes is easily accessible from Interstate 43 South (Rock freeway). Exit Hwy Y (Racine Ave) south. They are approximately 2 miles south of Interstate 43 on Racine Ave, 1 block south of Janesville Rd. Turn right on Apollo Dr. to the main entrance. Please visit L.E.A.R.N.’s website at www.labadoption.org to find out more about this FUNdraiser. Racine Wisconsin Native and Actress Kristin Bauer, Paris Bennett of American Idol and The Grand Slam Charity Jam Lend Support To Animal Fairy Charities, Inc.
Saturday, April 2nd, Animal Fairy Charities attended the first-ever Grand Slam Charity Jam, an event that raised over $100,000 for over 50 Wisconsin charities. The event was held at the Potawatomi’s Woodland Dreams Ballroom and Northern Lights Theater and underwritten by Kapco Inc. and corporate partners. Racine, WI Native, Kristin Bauer, star of HBO’s True Blood, actress and animal lover hosted the event which featured several celebrity performancers including The Sugar Ray Band (Mark McGrath of Celebrity Apprentice), Kimberley Locke (American Idol), Jamecia Bennett (Sounds of Blackness), Paris Bennett (American Idol), Abri Van Straten (The Lemmings), Erica Hoyt (Nashville Singer and Songwriter) and more! Green Bay Packer legend LeRoy Butler attended the event along with other former Packer Gary Ellerson and Packers Nick Collins and Desmond Bishop. Internationally acclaimed artist, Eric Waugh displayed an entire collection of his art for the auction. “It was an amazing night”, said Debra Lopez, Executive Director of Animal Fairy Charities. “We haven’t stopped talking about it” Lopez added. Animal Fairy Charities was chosen by Kristen Bauer as one of the beneficiaries of the event. “I had no idea how much Kristin loved horses and it is an honor and a privilege to be chosen by her.” said Lopez. Paris Bennett of American Idol has also joined Animal Fairy Charities in their mission help animals. “I am a big animal lover and there would be nothing greater than to help animals of the world” said Bennett. “After attending the Grand Slam Charity Jam and learning about Animal Fairy Charities, I liked what the organization stood for and by lending my voice to their cause, I am hoping to help animals around the world” Bennett added. Bennett came to national recognition as a contestant on season five of American Idol. She placed 5th during that season. In 2007 she released her debut album “Princess P” as well as a holiday album in 2008 entitled “A Royal Christmas”. “We are thrilled to have Paris on board as an extension of our voice for the animals. We need to educate our youth on the problems our country faces regarding animal welfare and Paris will be a huge help with this mission.” said Lopez. “At the end of the day, it’s been a very tough economy” said Lori Charney of Animal Fairy Charities. “People are still giving up their pets to local shelters and sometimes even leaving them behind when they lose their homes. Animal shelters and rescues need our help more than ever and we have to step up and help those who are in the trenches everyday caring for our animals. Because of the support we’ve received from The Grand Slam Charity Jam, Kristin Bauer and Paris Bennett, we can help more animals.” Charney added. Animal Fairy Charities is an all-volunteer 501c3 based animal welfare nonprofit, distributes funds in support of the missions of other animal non-profit organizations using a federated (i.e. United Way) method. 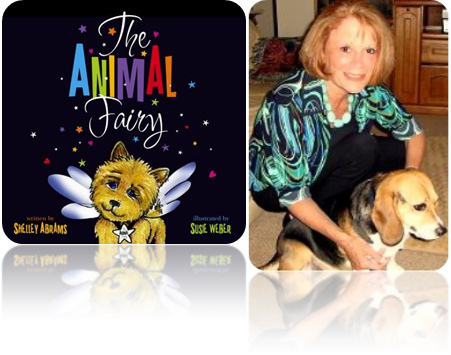 In addition, Animal Fairy Charities educates and engages young children in compassion through the positive interaction with animals. WAUKESHA ­­— HAWS, the Humane Animal Welfare Society of Waukesha County, and the Friends of HAWS fundraising group announce the 28th Annual Pet Walkathon to benefit the Waukesha shelter. The event, scheduled for Saturday, May 7th from 9:00 a.m. to 3:00 p.m., has been moved to a new location, this year being held at Sussex Village Park. Donations can be brought to the Walk in person or raised through online personal fundraising pages. For registration information, or to set up a fundraising page, log on to hawspets.org and look for the “Walking for HAWS” Dog Logo or banner ad. Just click and go! The Walkathon features adoptable HAWS pets, demonstrations including “Canine Cuisine” with Dr. Claudeen McAuliffe, pet/owner contests, “shop”-portunities at vendor booths, great food and more. HAWS’ friend Marilynn Mee of WKLH will once again be the special guest and area mascots will also join in the fun, including the Milwaukee Admirals’ Roscoe, Brad Beach from the Milwaukee Wave and Waukesha State Bank’s Friendly the Eagle. The Walkathon is sponsored and presented by the Friends of HAWS. 100% of the donations collected by Walkathon attendees is given directly to HAWS for animal care, programs and services. 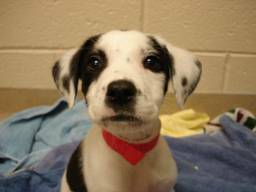 Get 20% off your adoption fee now through April 30 at the new Wisconsin Humane Society Ozaukee Campus in Saukville. If you haven’t yet visited the new shelter, now is the time. There are a lot of puppies, kittens, dogs, cats and small animals looking for new homes, plus you can get a look at the fabulous new, “green” facility. Visit www.ozaukeehumane.org to see available animals. The site is updated every 30 minutes.